YouTube Gaming for Android devices has been updated and while the update is a “.1” release, the feature set really makes it worthy of being a 2.0 version. Nevertheless, the new 1.1.20.3 build for those keeping score at home, brings a huge number of updates to the broadcasting gaming platform. The biggest news in this update is the support for live streaming of your mobile games from your Android devices. If you are running a device with Android Lollipop or Android Marshmallow, you can now live stream or record your mobile games. You host your stream with your device’s front facing camera and the app leverages your device’s microphone for audio. Essentially this allows you to more easily share mobile games than ever before or frankly from any other game streaming platform. also easier with Fan Funding. To leave a “tip” for a creator, just tap the $ icon and then select the amount you want to tip. YouTube Gaming also has brought an easy bookmarking function with a Watch Later capability. This is very similar to the function that is built into YouTube itself so there really won’t be much of a learning curve for users. Finally, there is also the ability to import your YouTube subscriptions into YouTube Gaming with a tap in Settings. This, to me at least, feels like a placeholder feature. It is clear that importing of subscriptions from YouTube is the place to start but there is so much more potential for this feature. Twitch channel imports anyone? It may not be possible now but YouTube certainly appears to be building the features to make it happen. 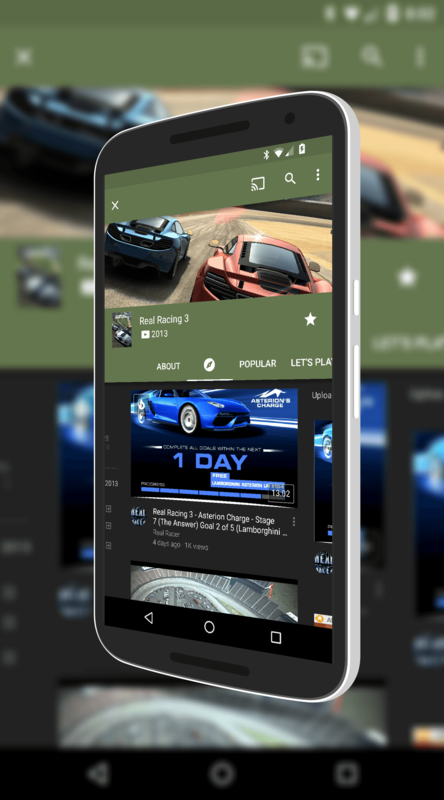 YouTube Gaming is a free app and works on Android phones and tablets. To get the most benefit from the app, you will need to be running Android Lollipop or Marshmallow on your devices.